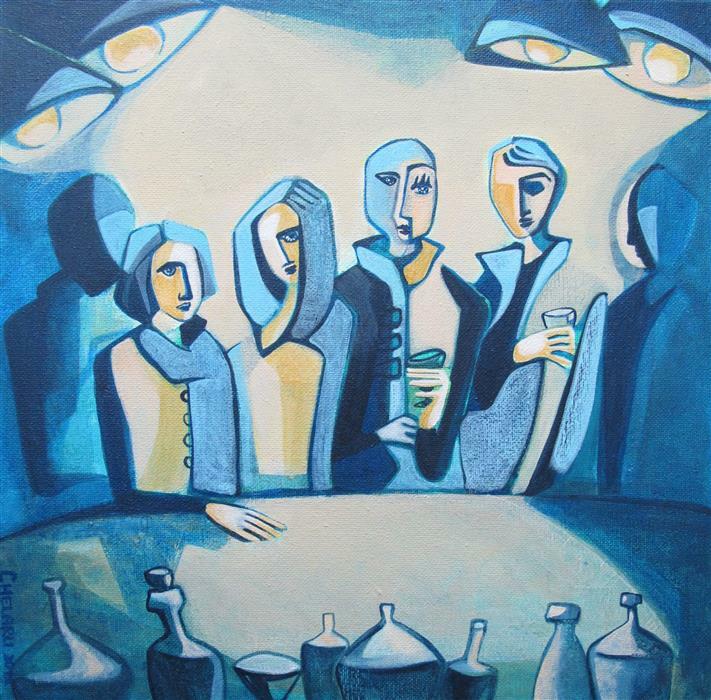 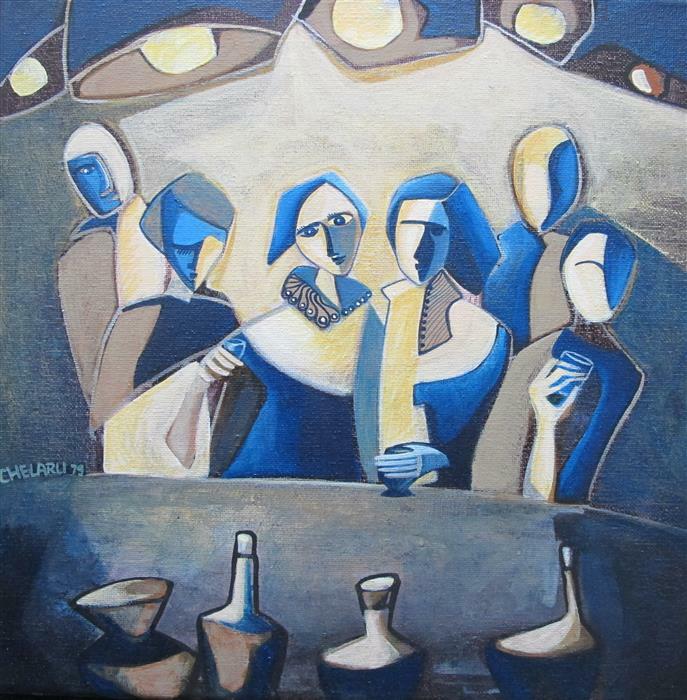 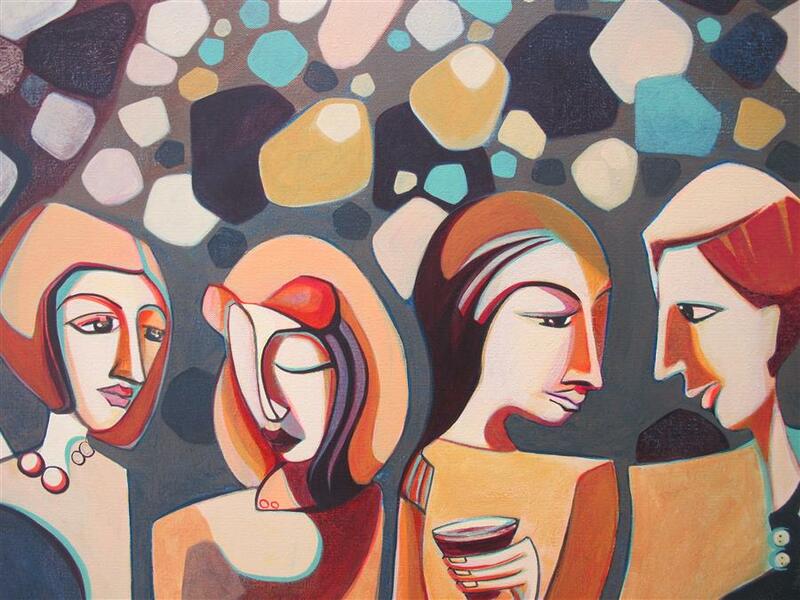 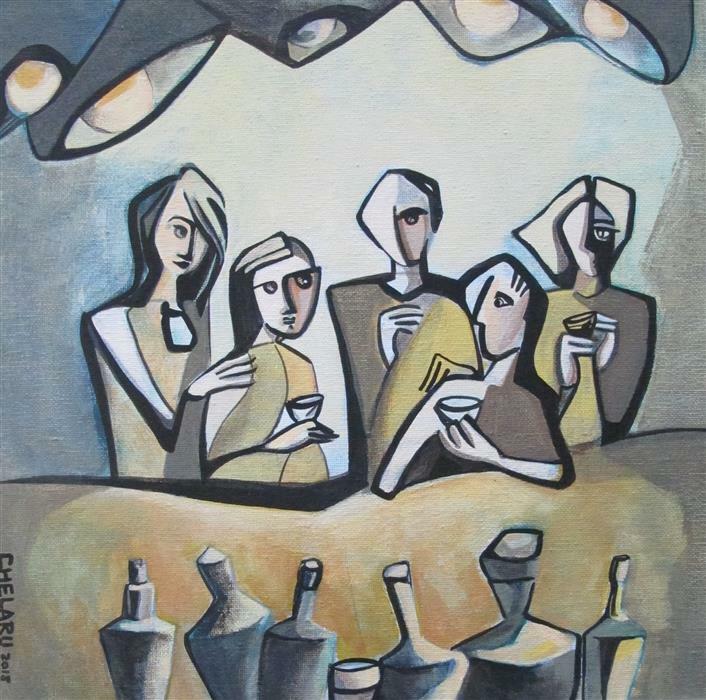 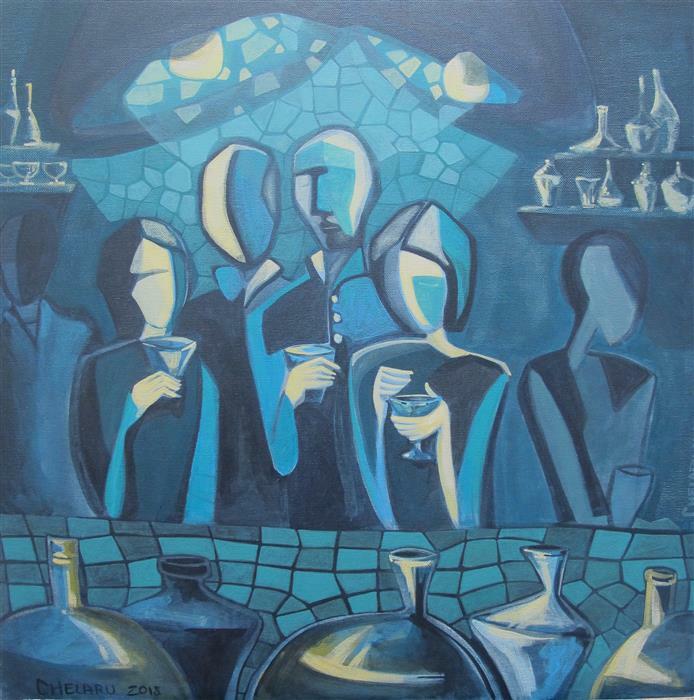 This painting depicts a scene from a bar, a dimly lit space that gives a sense of intimacy among people who know each other. 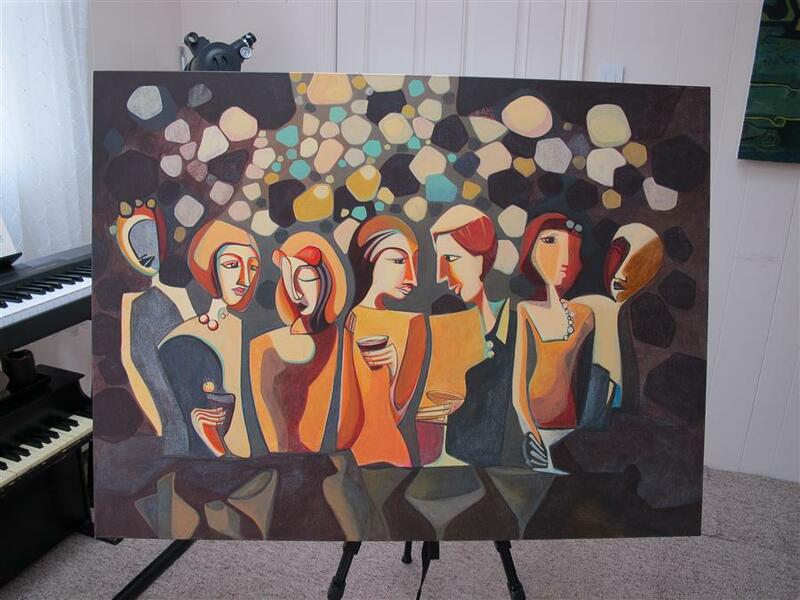 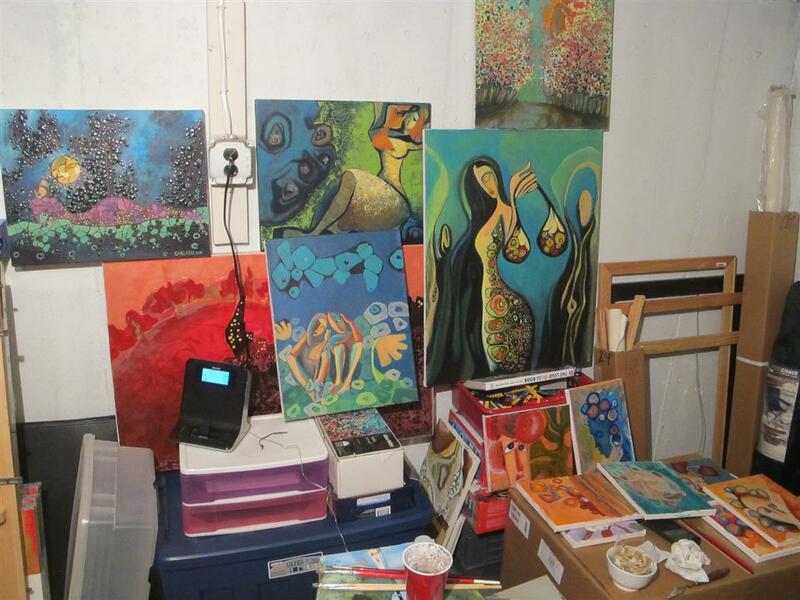 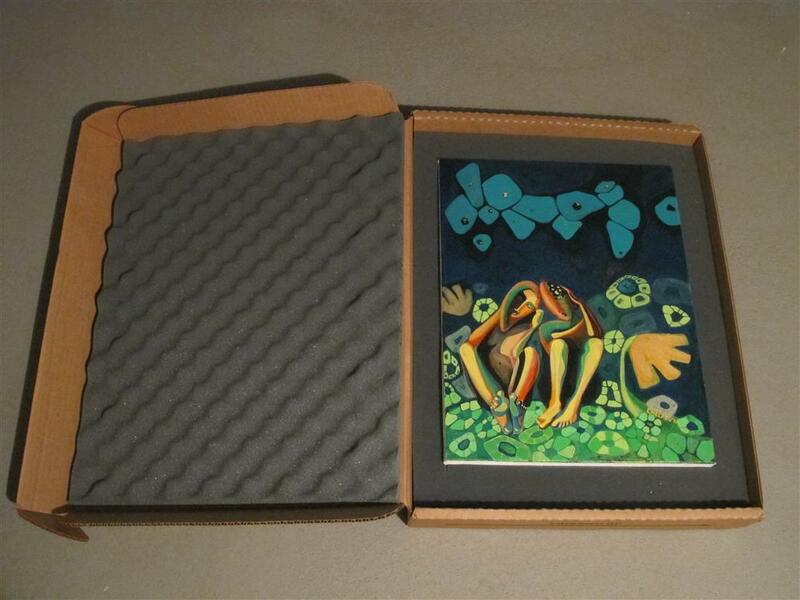 This painting is on gallery wrapped canvas with white edges. 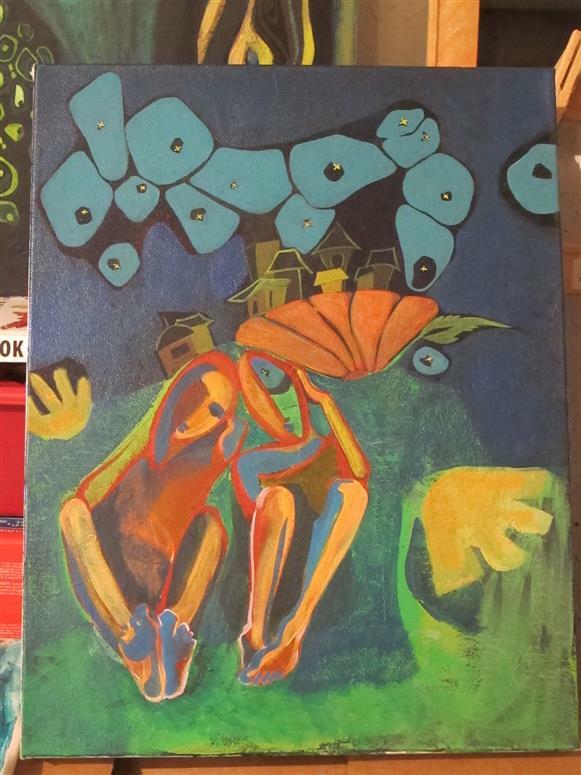 It comes varnished and ready to hang.